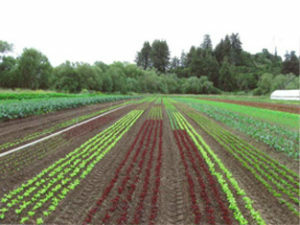 Blue Heron Farm is a 20-acre certified organic farm operating in a small sheltered valley in Corralitos, California that is passionate about growing a diverse array of high quality vegetables and flowers. Blue Heron was started in 1985 by Dennis Tamura after studying gardening with Alan Chadwick in the late 1970s and running the U.C. 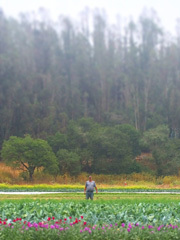 Santa Cruz Farm & Garden Apprenticeship Program for several years. 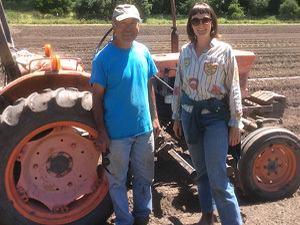 Now operated by him and his wife Lori Perry, Blue Heron is driven by the hard work of a wonderful group of workers from Jalisco and Michoacán Mexico, as well as a dedicated flower crew and market staff. The farm is additionally blessed with a cool climate, soft soil, and a beautiful surrounding habitat. 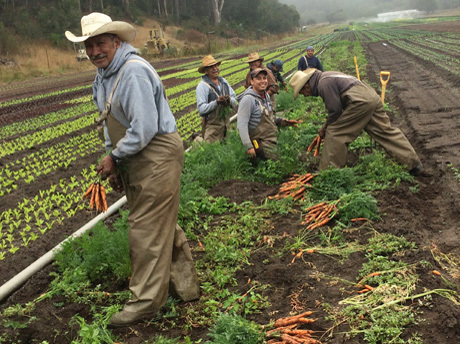 Although the work is demanding, we at Blue Heron are fortunate to be farming on the Central Coast, where people value organics and we can sell directly to loyal farmers market customers, local chefs and grocery stores. Tours begin at 10 am and will continue on the hour, every hour. Self Guided Tours will be available as well. Yes. 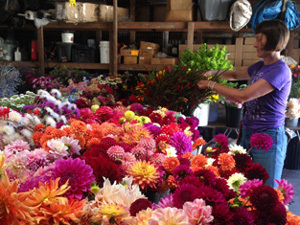 They will have a selection of vegetables and flowers for sale. “Our greatest assets are the dedicated people we work with."